During the breakup of a marriage, making sure you get your fair share of any marital property is of the utmost importance. In addition to providing you with the assets and funds you need as you recover from your divorce, any amounts you receive can also help ensure your future financial security. To be sure, 401k benefits often play a role in these proceedings, and require special considerations and procedures to ensure each party gets the amount they are entitled to. Under Section 61.075 of the Florida Statutes, any marital property earned, acquired, or otherwise accumulated during your marriage is subject to the rules of equitable distribution. The amount is generally based on each party’s income and earning potential, their contributions to acquiring the assets, and any sacrifices either made in support of one another in terms of achieving educational or career related goals. You can roll over your share of benefits into your own retirement account, thereby avoiding potential taxes and penalties. You can wait it out and defer taking a distribution until your spouse is of retirement age, which would then entitle you to either lump sum or monthly payments. You can cash out your portion of the benefits now. This provides immediate access to cash, but also incurs high taxes and penalties. When dealing with 401k benefit plans in your spouse’s name, they are the owner of the plan, while you may have been listed as an alternate payee. This provided protection during your marriage, ensuring you would get these benefits in the event your spouse passed away. 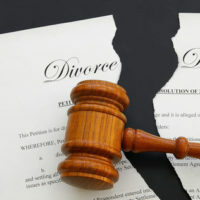 After your divorce, you are no longer entitled to be listed as an alternate on your spouse’s plan, and any distributions made to you would require a Qualified Domestic Relations Order (QDRO). This is generally requested as part of the final judgment in your divorce proceedings. The Internal Revenue Service advises that your QDRO will specify the amount you are entitled to, as well as how you have elected to receive your distribution. The QDRO must be submitted to your spouse’s human resources department or their 401k administrator in order to have these funds released. Dividing retirement benefits may seem like a complicated process, but they play an important role in ensuring you get what you are entitled to in your divorce proceedings. Call or contact the Vanessa L. Prieto Law Offices, LLC online today and request a free consultation with a Florida divorce attorney to help ensure you receive the total amount of any assets you are owed.